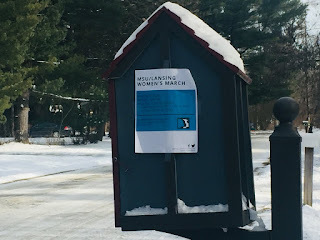 One wouldn't be able to tell by this lone, sad, cold poster stuck to our Little Free Library--but it was a great Women's March today. Esp. if you were judging by the roomful of excited students who joined us for dinner.